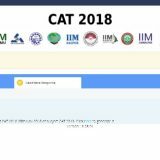 First slot of CAT 2016 is over now… So nearly 50% of the candidates have already taken exam and another set of 50% are fighting with the question paper right now.. Going by the first impression and discussing with candidates, The CAT 2016 First slot was more or less similar to last years paper. The VA section especially RC was easy, DI-LR was tough and QA was mostly easy. 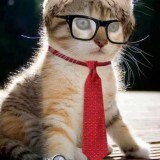 As candidates reported, there were few mistakes which is very unlikely in CAT paper. But surely there was a great confusion between pie and sqrt. The symbols looked very similar and created trouble for many aspirants. 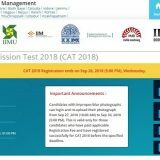 The complete test was structured very similar to CAT 2015, and was in line withe the MOCK CAT shared by IIM authorities on their website iimcat.ac.in. So lets check the overall view of the each sections. In this section, there were 34 questions, 24 question from RC and 10 questions from VA. RC questions were in MCQ format and VA questions were in TITA Format. There were 5 RC questions, 3 Sets of 6 questions and 2 sets of 3 questions. 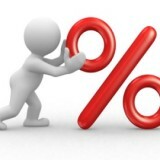 The passage were mostly easy and can be understood without much difficulty. The questions were relatively easy and could be solved on one thorough reading of the passage. There were close options in some questions, but most questions had direct answers. The questions were mostly easy from VA. It comprised of para jumbles, Essence of the paragraph and odd one out. There were no grammatical questions, confusing word, FIJ, or word meaning related questions. Ideal attempt : 24 with 85% accuracy. Issues as faced by candidates : Invigilators coming for multiple signatures, Admit Card checking, Rough sheet signature checking. As per the candidates, the LR – DI section was difficult, with few incorrect questions. Well prepared students also struggled during the test and attempted very less questions. There were no graph, pie chart or histogram questions. LR and DI questions were not separate and all questions were of mixed type. There were 2 questions which can be clearly stated as DI question. Idea attempt : 18 with 85% accuracy. Issues as faced by candidates : As per candidates, there were some incorrect questions, which is very unlikely. Quantitative Ability section was easy and 28-30 questions out of 34 was doable. Questions mainly comprised of Arithmetic and Geometry. Ideal attempt : 26 with 85% accuracy. Issues as faced by candidates : As per candidates , pi and sqrt was looking similar in 2-3 questions. If you want students to write roll number , date of birth, signature on rough sheet . Better get roll numbers printed on the rough sheets (atleast 4 A4 sheets) and give the roll numbered sheets only to students and then get it signed after the test . So that invigilators doesn’t keep on checking in between exam. After all they are also human, they want to do their work perfectly and hence keep on coming in between to check if they have signed or if aspirants have signed the rough sheet or not. All the thumb impressions and signatures should be taken just before starting the test. There is no point of disturbing candidates in the middle of the test particularly during VA test. Since the exam is divided in 3 slots of 1 hour and not a complete 3 hour exam, it might hamper someone’s test a lot. The sqrt sign in the calculator provided in the test was also not clearly visible. All the best to everyone !! Keep fingers crossed, Be positive and stay focused for other upcoming exams. Great confusion in square root sign. at on place it was written 75√3 but the square root sign was so unclear that it took a long time to understand that it is a square root sign.